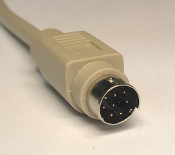 This radio cable is compatible with the Xiegu G90, Xiegu x5105 and virtually all radios that have an 8-pin mini DIN Data or Accy Port. See below for a list of compatible radios and the recommended Plug & Play Jumper Module. If your radio is not listed then please contact us to confirm compatibility.